Traffic levels here are up 2X. Trends are up 2X, ad rates are up and if the rate of increase continues, Ultrabooks could be more of a trend than notebooks before the end of the year. As early as Saturday October 20th, days before the launch of Windows 8, traffic started to pick up here. By Windows 8 launch day traffic levels had risen to double normal traffic levels and then on Sunday night I saw something happen that I haven’t seen since, funnily enough, Daniel Craig starred in his first James Bond film and promoted a Sony UMPC. It’s not Daniel Craig this time round though, it’s the Ultrabook Convertible. 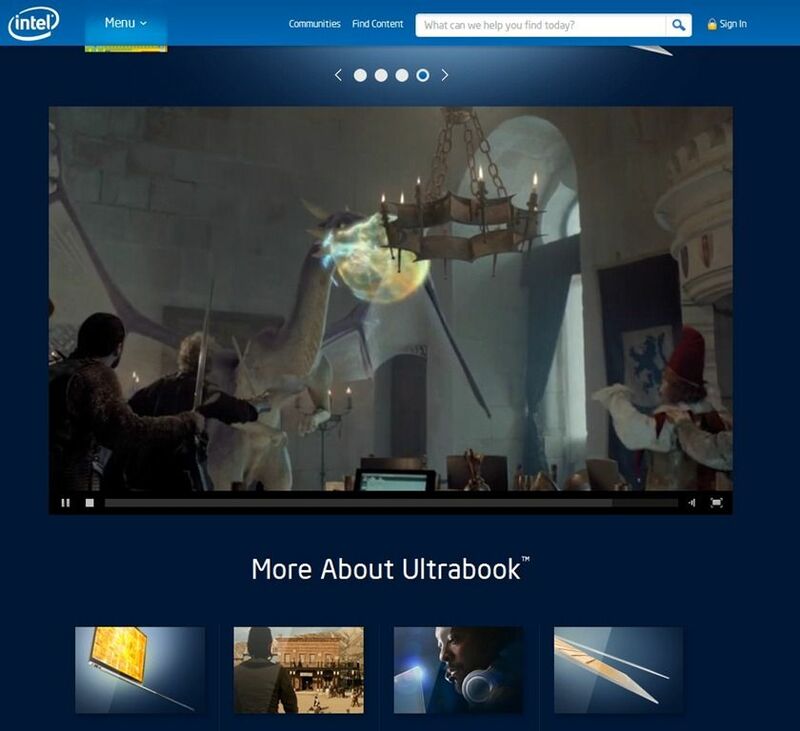 Intel has made live a significant refresh of the Ultrabook section of their website. If it wasn’t already clear from their $300 million Ultrabook fund, Intel is serious about Ultrabooks; the redesign of their site’s Ultrabook section is quite significant next to the old version and reinforces their commitment to the segment. The launch of Windows 8 and a wave of new devices provides an great opportunity that Intel is using highlight some of the most interesting new devices to hit the PC market in several years, most of which are Ultrabooks. Good morning everyone. Hope you enjoyed yesterdays live blog (still updating) on the day that Windows 8 was officially launched. First possible availability is today for all Windows 8 devices so watch out for the first discounts! You’ll see some disappointing ‘out of stock’ messages at Amazon.com though. 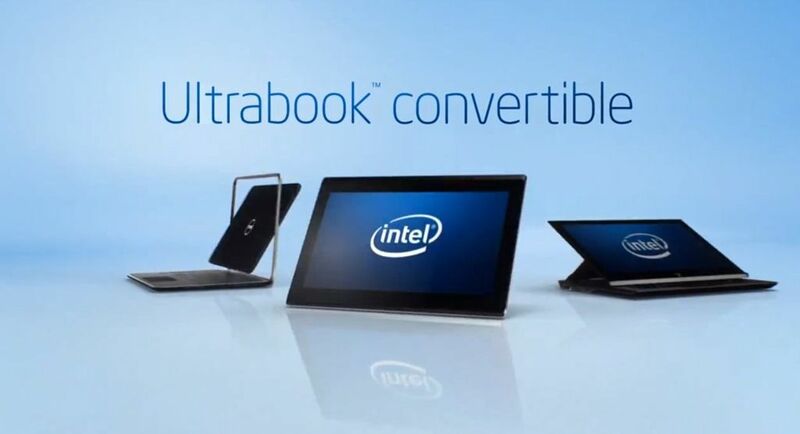 Update: Ultrabook convertible overview here. 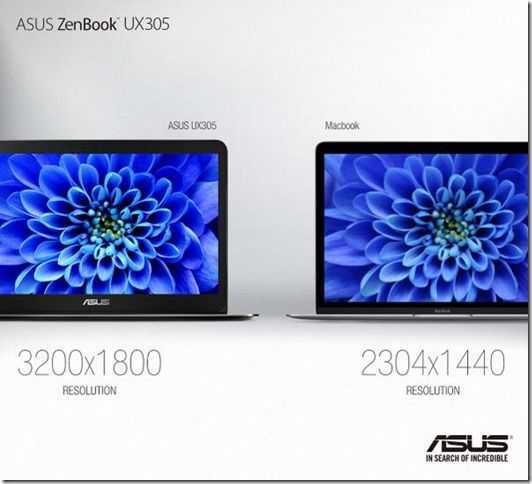 Let’s kick off today’s Ultrabook coverage by looking at a new Ultrabook video campaign from Intel. 7 videos have just gone live and some focus purely on the convertible side (!) 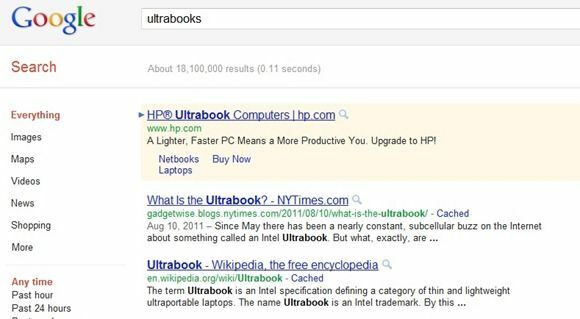 of Ultrabooks. 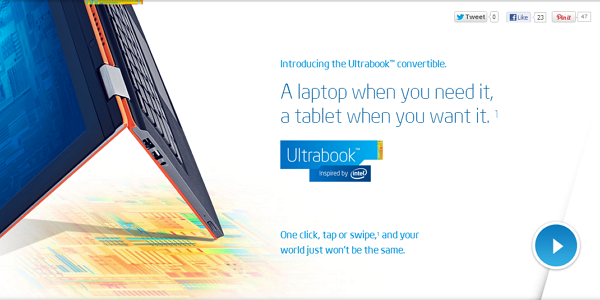 Ultrabook first though in the “Ultrabook convertible” ads. To be honest, we have no idea where this Ultrabook promo video has come from. 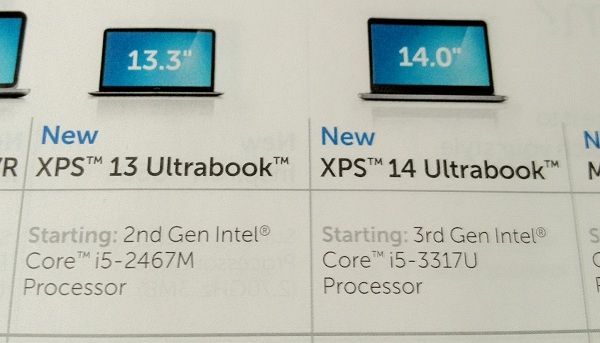 It looks like it might be part of an Intel Finance Ultrabook competition. Brett Cardoza, the name of the YouTube channel it appears under, seems to be an Intel employee. That would explain the ‘knowledge’ in the video. We haven’t stopped laughing yet. This is so crass, it just might be good enough to go viral. Check it out below and, thanks Brett. If you read this, please let us know the background in the comments below. At the beginning of June, Computex revealed to the world a flood of new Ultrabooks based on Intel’s third-generation Ivy Bridge platform. These new Ivy Bridge Ultrabooks, which must meet certain criteria to be called an Ultrabook, represent the second generation of Intel’s Ultrabook specification. Dell’s XPS 13 Ultrabook, while well received, is a first generation Ultrabook based on the previous generation Sandy Bridge platform, but this hasn’t stopped the company from branding it as ‘New’ in online and print advertisements. Launched just a few hours ago on the Intel ‘Inside Scoop’ site is the new interactive promotional video / game / adventure for Intel’s Ultrabooks. I’ve just spent a good 10 minutes playing around with it. It’s good! Due to be promoted in 50 countries and 26 languages, the new video is part of a much bigger Ultrabook marketing campaign that covers online, TV, in-shop and other areas. It’s said to be a ‘multi-hundred’ million dollar campaign and the biggest since Intel promoted the Centrino technology 10 years ago. Intel have just published a video showing the differences between hard drives and (Intel) solid state drives. It’s actually an advert for the latest Intel SSDs and there’s a bit of humor in here, a lot of tight editing and a possible shot in the foot for Ultrabook hybrid hard drives which, under most of these test scenarios, would be just as slow as the standard hard drives. “The speed you need at the price you want.” says the advert. The reason I ‘m highlighting this video though is because I know a lot of it is true. I’ve done exactly the same tests myself with the same software used in the video and there’s a huge difference. Joking aside, Intel didn’t need to dramatize and editize (!) 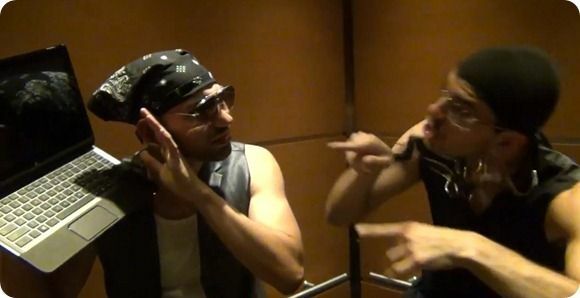 this video. I could show you exactly the same effect between the Acer S3 and the Toshiba Z830 and the Toshiba is not even carrying a class-leading SSD. Watch the video below though because it’s an easy one to forward to your friends as an explanation. The last week has been pretty poor in terms of Ultrabook news. There’s been some discussion about sales numbers and prices (again! ), some discussion about the MacBook Air (again) and some discussion about the Transformer Prime as it relates to Ultrabooks (e.g. here and here. Update: Similar here.) I saw a major online PC magazine pump out a raft of generic Ultrabook articles for Google to trawl and to top it off, Lenovo said they couldn’t send us a U300s for testing. Thank goodness Daniel sent us his U300s owner review! Yesterday’s top Ultrabook theme was the Intel ‘Pop-Up Theater’ Ultrabook video which I thought was cute, but a little weak. Done in the ‘flashmob’ style it felt a like a poor attempt at a viral campaign that copies too much from other set-ups we’ve seen before. It was obviously heavily edited and didn’t really tell anyone about what the Ultrabook was. The Popup Theatre website has 233 tweets and 469 Facebook likes as I write which will grow over time but seems middle-of-the-road; echoing the production. HP Advertising ‘Ultrabook Computers’ – Next in Line to Launch? It looks pro-Ultrabook to me!